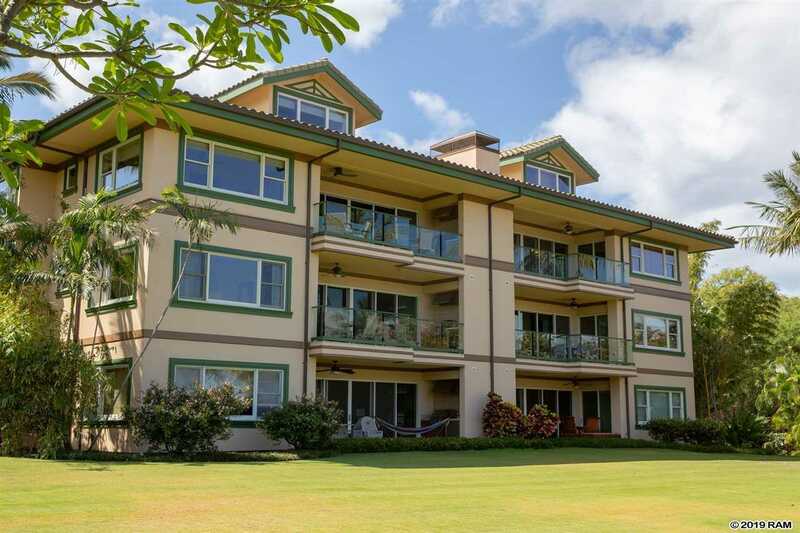 Beautifully situated on over 6 acres of ocean view property, this Na Hale O Makena 3 Bedroom 2 1/2 Bath condo is on the ground floor, making it easily accessible from the beach across the street, as well as nearby resort shopping, golf courses and top rated restaurants. With gated entrances, covered carports, and a large private access foyer, this home is an exclusive and tranquil retreat. Tastefully appointed features throughout include polished travertine floors, mahogany double door entry, granite counter tops, custom cabinetry and stainless appliances, a spacious master suite and bath with a gorgeous walk in closet. Walk through your 12-foot sliding glass doors onto your large ocean view lanai featuring a built-in barbecue, bar sink and beverage refrigerator, making it the perfect place to entertain. Enjoy the amenities of Na Hale O Makena including a large Pebble-Tec pool, waterfall, spa, covered pool pavilion with barbecue, refrigerator and microwave, fully equipped gym with televisions, as well as generous sports equipment storage for all of your island activities. A full time resident manager maintains security and âHouse Rulesâ compliance for your ease, comfort and convenience. Please, send me more information on this property: MLS# 382206 – $1,650,000 – 4955 Makena Rd Unit A102, Kihei, HI 96753.